OverviewSonic Rush Adventure is the second Rush game on the Nintendo DS. 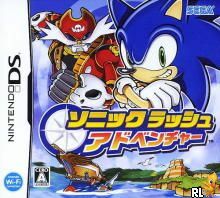 Sonic must find a way to return to his own dimension, and confront the evil pirate Captain Whisker. Now you can add videos, screenshots, or other images (cover scans, disc scans, etc.) 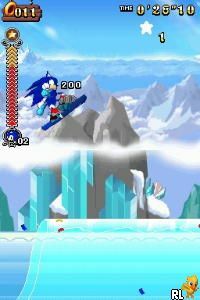 for Sonic Rush Adventure (J)(6rz) to Emuparadise. Do it now!